With terrorists lately targeting the convoys of security forces in Kashmir and left wing extremism affected states, government is procuring 141 medium bulletproof vehicles (MBPVs) for the central paramilitary forces so that jawans/officers can safely reach the operation sites and camps. Officials said that 100 bulletproof vehicles out of 141 are being exclusively purchased for CRPF, which will allow the force to conduct law and order duties and carry out special operations without the fear of being attacked on the highways. 20 MBPVs will be given to Indo-Tibetan Border Police in Chhattisgarh, 15 to Sashastra Seema Bal and six to CISF battalion posted in J&K. The government has already allocated Rs 100 crore for the MBPVs, which, officials said, will be pushed into service very soon. The first batch of 20 bulletproof vehicles is likely to arrive in next two months. The new vehicles can withstand bullets fired from small and AK series weapons, which are largely used by terrorists sent from across the border by Pakistan and the local cadres of Hizbul Mujahideen, Lashkar-e-Taiba, Jaish-e-Mohammad and other groups, said an officer requesting anonymity. Each vehicle, the officer added, can carry 10 to 12 jawans/officers. Currently, due to limited number of bulletproof vehicles available with forces like CRPF, BSF, ITBP, SSB and CISF, the jawans have to use buses/tempos for travelling in convoys in dangerous areas in Kashmir Valley, Naxal hotbeds in Chhattisgarh, Jharkhand or Odisha; and in the north-east. CRPF has faced several convoy attacks in Kashmir in the last few years. In one of the deadliest attacks, eight of its men were killed while 20 others were injured in June 2016 when Lashkar-e-Taiba men ambushed its convoy in Pulwama. Last year too, CRPF faced three attacks on its convoys in Kashmir. The last attack happened on November 1, 2017 in which six CRPF jawans were injured. 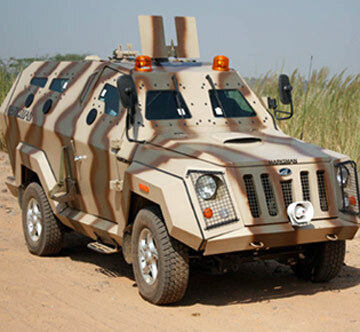 Meanwhile, ministry of home affairs on Tuesday blamed the ordnance factory board (OFB) for a shortage of mine protected vehicles (MPVs) in the central paramilitary forces. The MHA stated in Parliament that it had sanctioned 157 MPVs for CAPFs during last three years but OFB, which comes under the ministry of defence, has supplied only 13 vehicles so far. “Such delays risk the lives of jawans, who are engaged in security duties in the most inhospitable areas. It is shameful that OFB has been able to supply only 13 MPVs in three years,” said an MHA officer. As reported by TOIlast year, MHA also reiterated in Parliament its decision to introduce less lethal plastic bullets to tackle stone pelters in J&K. Officials said the plastic bullets, developed by DRDO and tested at Terminal Ballistic Research Laboratory, Chandigarh, doesn’t pierce the body of stone pelters if hit from a distance of 25 meters or more and are fired using AK series weapons. The officers, however, added that use of pellet guns, chilli grenades and other weapons/ammunition has not been completely withdrawn. Last edited by ashdoc; March 20th, 2018 at 03:51 PM. der aaye durust aaye.. better to equip them with adequate weapons. they found the money despite decreasing budgets!